Mar Orthodontics has a goal to provide a seamless continuum of care to patients from the 1st to the last appointment. 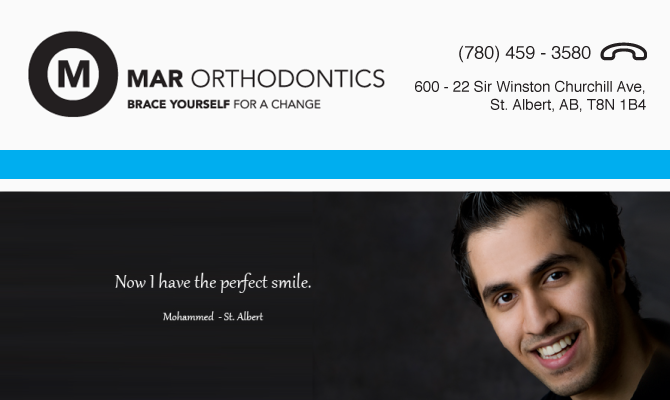 Dr. Mar is proud of his caring, patient orientated highly skilled staff. He has 13 full-time and 1 part-time staff who all enjoy the orthodontic specialty. STAGE ONE – is our two front receptionists, patient services coordinator, treatment coordinator, and contract services coordinator. STAGE TWO – is our treatment team in the clinic made up of Registered Dental Assistants with their orthodontic module. STAGE THREE – is our on site lab made up of two Registered Lab Technologists and a Lab Assistant. These three stages have a common goal of working as a cohesive team to provide seamless care to our patients. To provide high quality orthodontic treatment to children, adolescents, and adults in a skilled, efficient and respectful manner to accomplish smiles that speak for you. To empower a skilled, respectful and efficient team that provides dignified, respectful and seamless care to every patient and their family. We support and embrace the Living Wellness Model (healthy office, happy patient). We care for our clients with sensitivity and respect. We strive for a trusting, open, and honest relationship with every patient. We celebrate each patient’s success and outcomes. We care for our colleagues with sensitivity and respect. We empower the team spirit. We support a healthy workplace that embraces laughter. We promote personal and professional health and growth. The most important reason for orthodontic treatment is to create the proper relationship between teeth, jaws and face and that is our goal in our work. When there is a “good bite”, the teeth are easy to floss and brush, thus reducing the incidence of tooth decay and “gum disease”. In some cases speech problems may result from malpositioned teeth or jaws. Poor tooth positions, missing or crowded teeth, may decrease chewing efficiency and thus increase digestive problems in some people.Also, one must consider an individual’s social and psychological development. Protrusive and misaligned teeth can be detrimental to one’s self-image. As one’s appearance improves, one’s self confidence also improves.